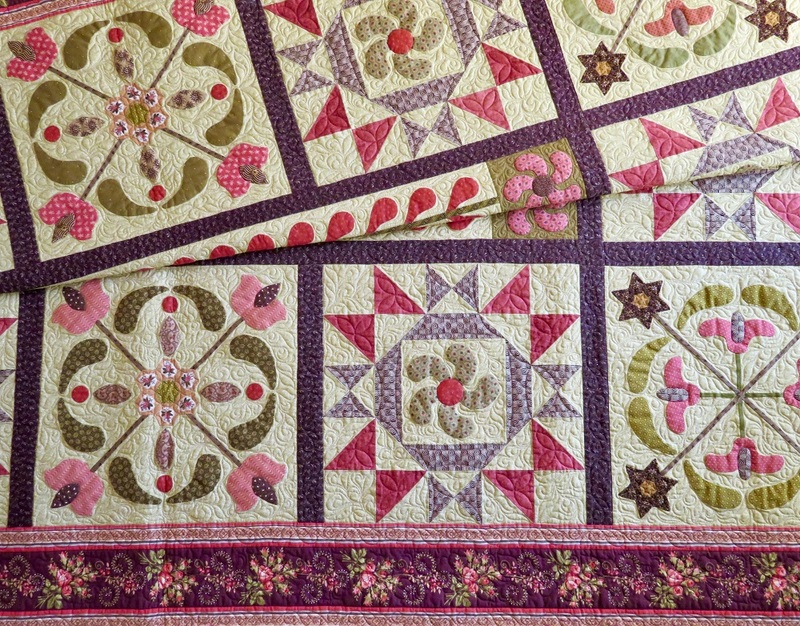 “Meryton” is the sixth quilt I made for my Jane Austen Quilt Collection. 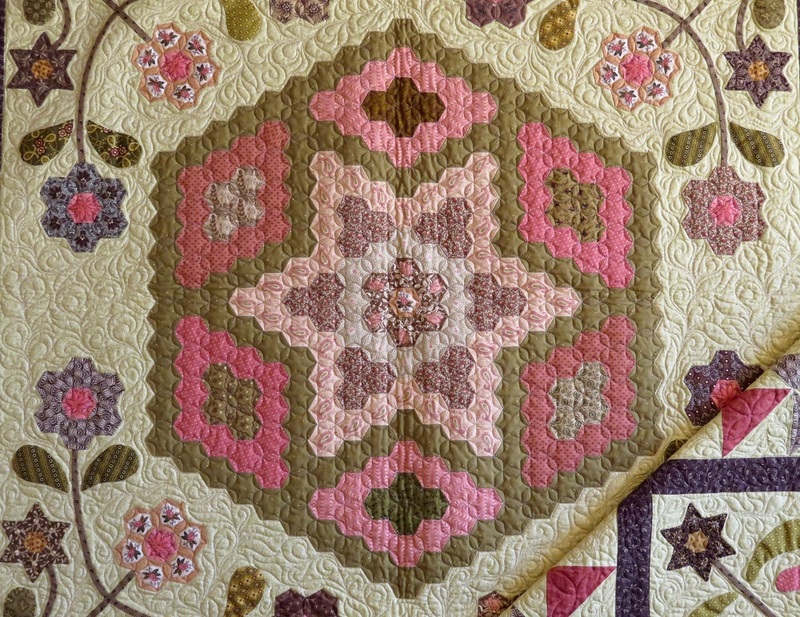 Of course, I love hexagons and this quilt features a beautiful centre medallion of 3/4″ hexagons pieced together and appliqued to the centre block. 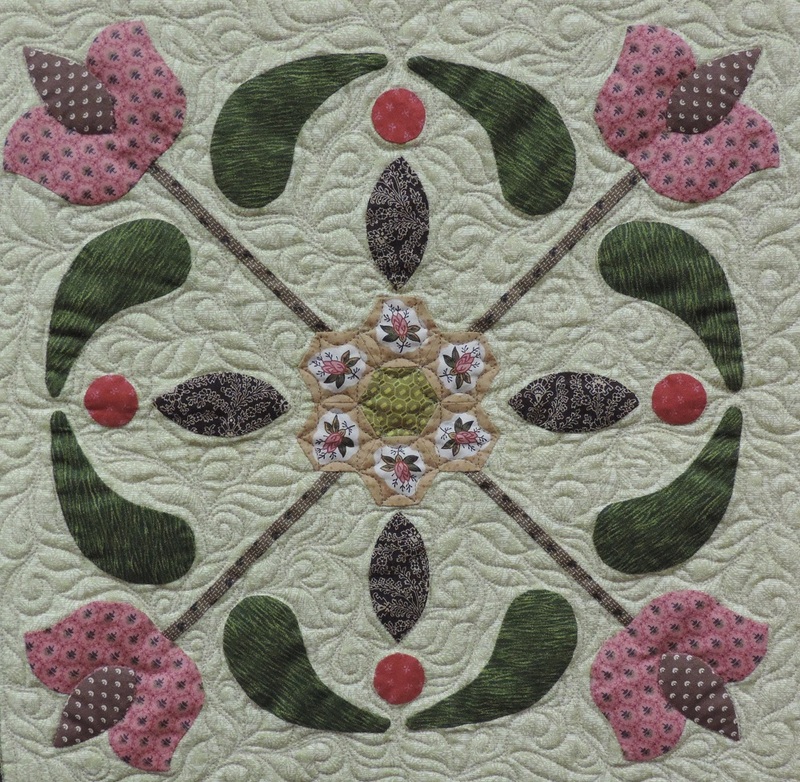 This is surrounded by branches of flowers and leaves and a striking leaf and vine border. 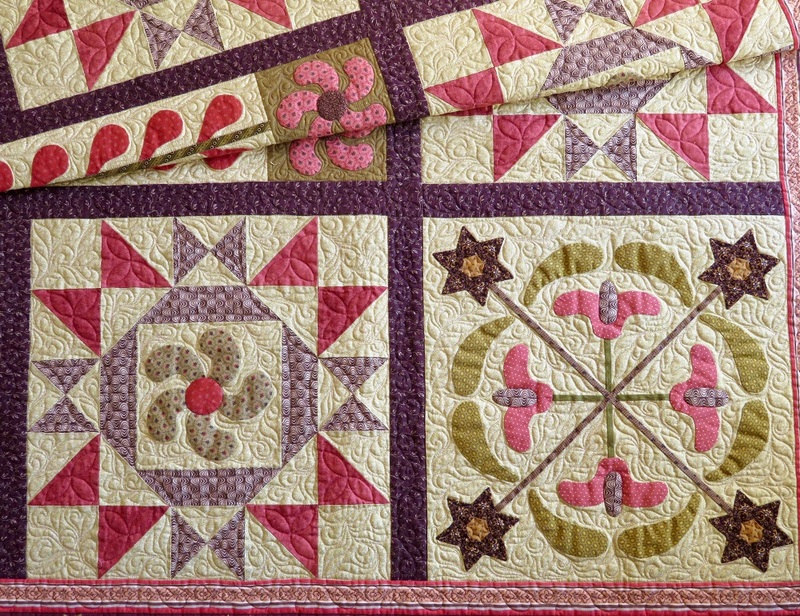 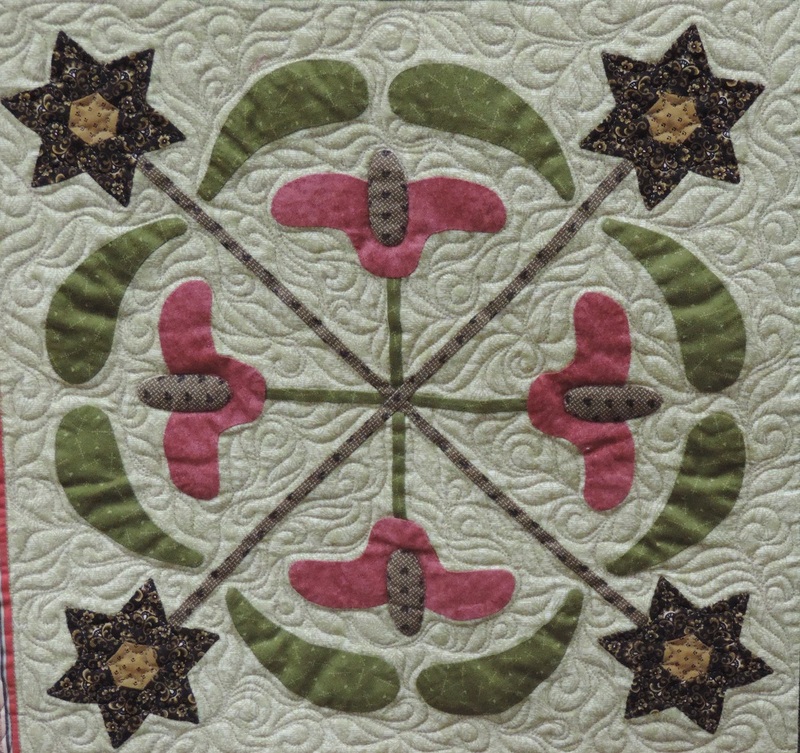 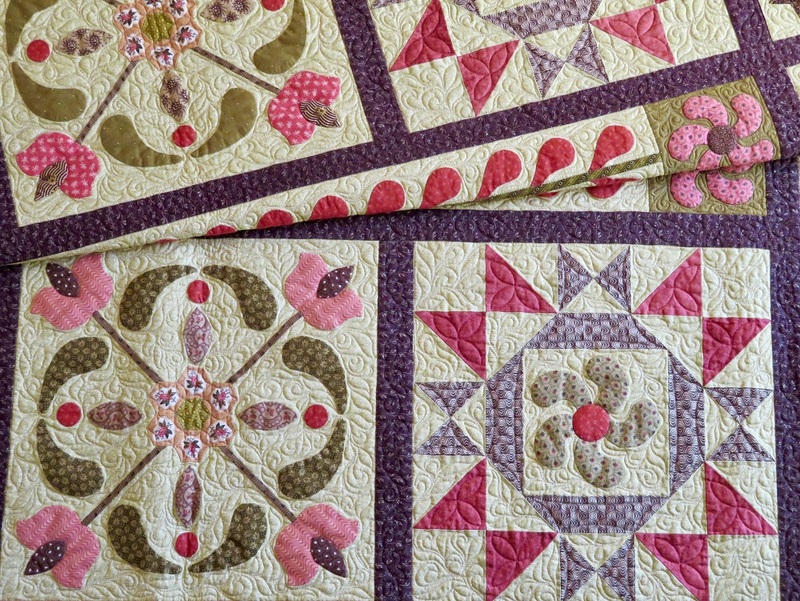 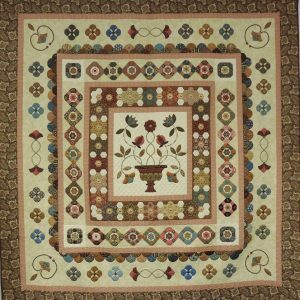 The outside row of blocks contains lots of fun applique and eight blocks that are pieced by machine and then embellished with an applique whiligig centre design. 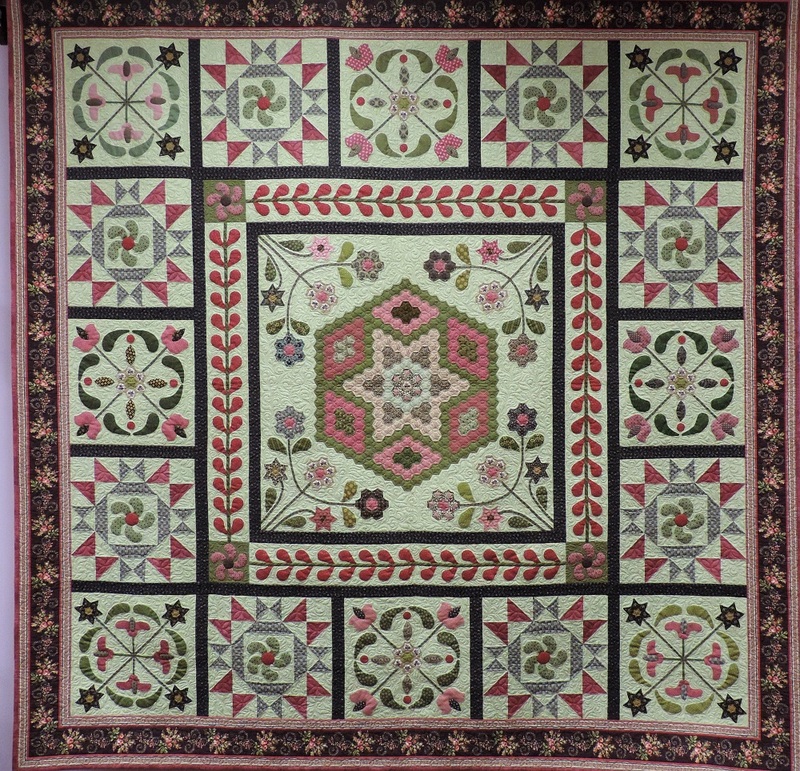 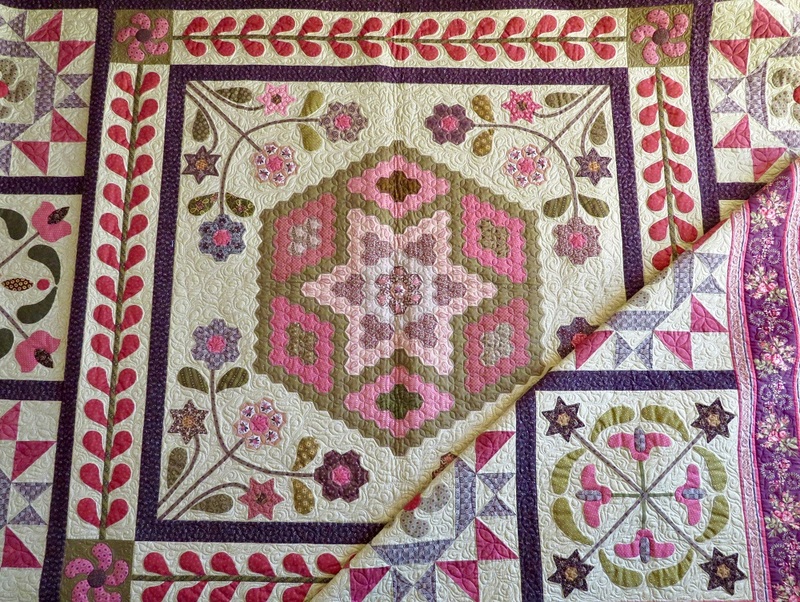 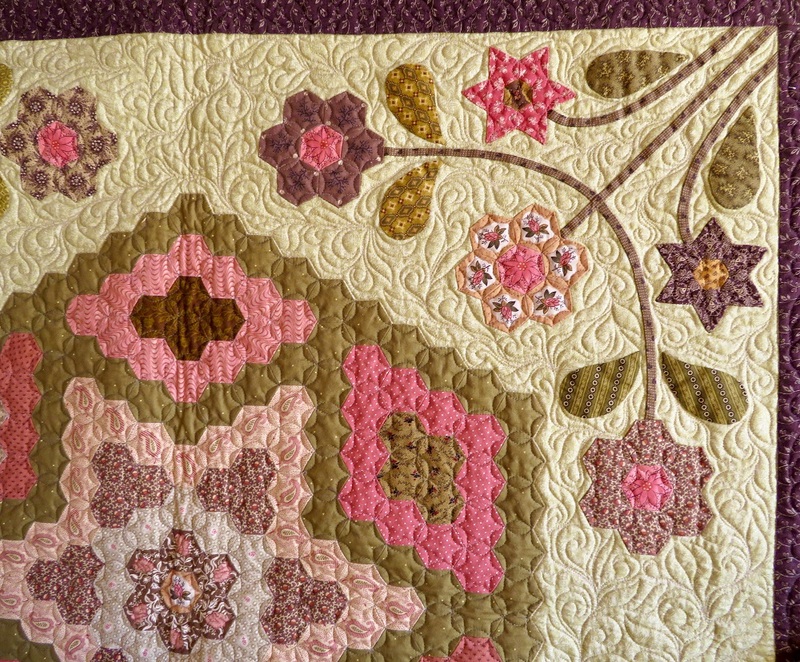 I used green, peach and brown fabrics on a lovely green background but this quilt also looks stunning in multiple colourways including brights. 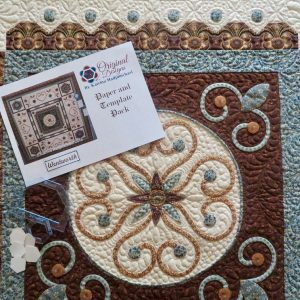 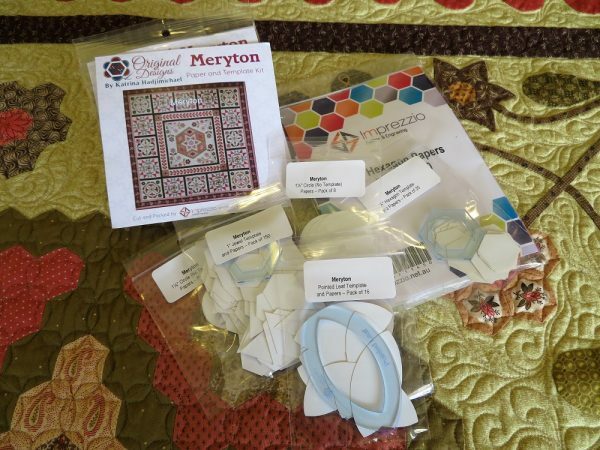 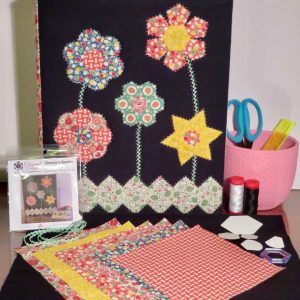 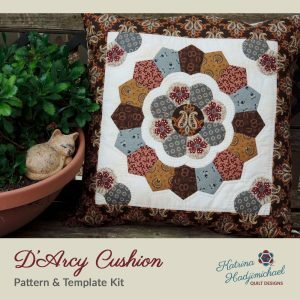 The template kit includes the full number of 3/4″ hexagons required to piece the centre medallion as well as the shapes for the other English paper pieced elements in the quilt including the jewel shapes, leaves, I hope you enjoy the “Meryton” journey!